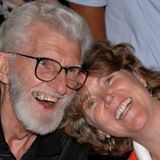 It is with sadness we share the news that Teresa Dulyea-Parker’s husband, Albert Dulyea-Parker passed away this morning (Sunday, July 7) in Bloomington. Al had been ill and had suffered some falls recently. Please be in prayer with Teresa and her sons Jeff and Travis during this time of loss. Arrangements for a memorial service will be made at a later date and more information will be shared at that time. Sorry to hear about your loss. Prayers from our FCC go out to you and your family. On behalf of our family, we send our condolences to Teresa and family. May the Creator bless you and give you strength in these difficult times. Much love from our family, Gloria, Santos and Children. Your IL/Wisconsin Family loves you. You and your family are in our prayers and in our hearts. My sincere condolences go to Teresa, Jeff, Travis and Albert’s children, Joel, Cheryl, Danny, and Frankie. May he be at peace and with his siblings Frank and Janet. My prayers are with you all. My thoughts are with you all in the loss of Uncle “Albert”. He was such a special person in my Mum’s life. It’s so hard to think that this generation of Parkers is now gone. I’m only sorry that distance prevented us from knowing him (and you) better. Please give my love to cousins Cheryl, Joel, Danny, Frankie, Travis and Jeff. So very sorry for your loss. We st the FCC in Virden, IL will keep you in our thoughts and prayers.